Owned and operated by a team who possess extensive experience in the restaurant industry, Macchina focuses on quality food and an approachable wine and cocktail menu delivered in a casual setting. 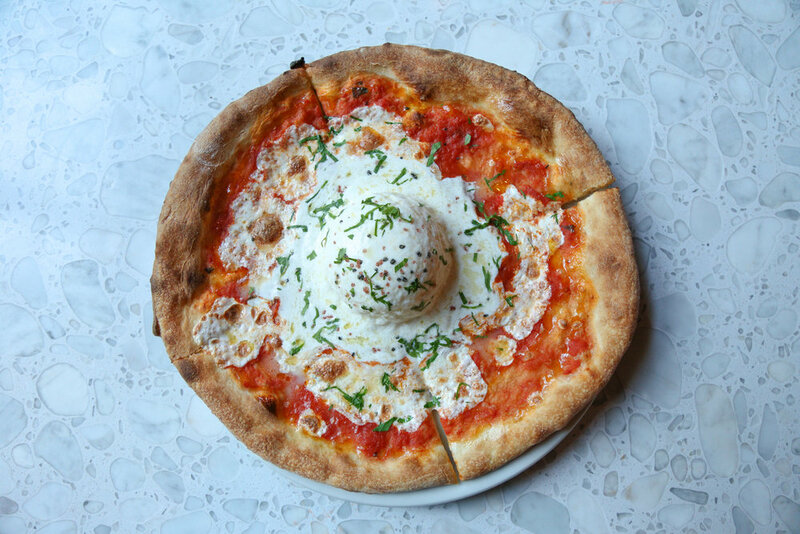 Bringing clean flavors to life in artigiano pizzas and pastas using four stone-fired burning ovens, Macchina celebrates modern Italian American fare. The restaurant is a rustic setting that embodies the spirit of Rock 'n’ Roll and vintage Italian mechanicals. grappa, basil, strawberry, rosemary syrup, lemon, egg white, fig glaze. Call (646) 755-8609 from 3pm – 11pm daily.